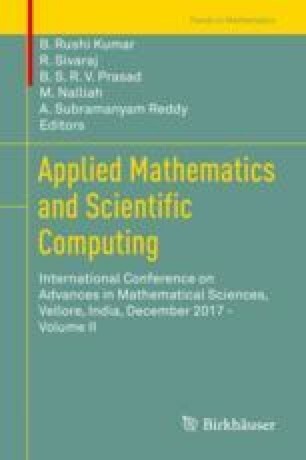 This article presents a numerical investigation on free convective heat and mass flow characteristics in a 3-dimensional MHD nonlinear boundary layer flow of nanofliuids past a deformed revolving surface through porous medium in the presence of Joule heating and radiation absorption as part of the chemical reaction mechanism. It is assumed that the Ag- water and Cu- water nanofluids which flow in parallel layers in a stream line. The phenomenon presided when modelled the flow transport leads to obtain a coupled nonlinear partial differential equations and further in the process of attaining an approximate solution, the system of equations were transformed in to a set of nonlinear ordinary differential equations using appropriate similarity transformation. The resulting equations were solved numerically with by using the R-K-Felhberg-integration with shooting method. It is found that the temperature increases with increasing radiation absorption parameter, We also seen that the Ag-water nanofluid has high thermal conductivity than Cu-water nanofluid.